Curious about how much it cost to clean your home? 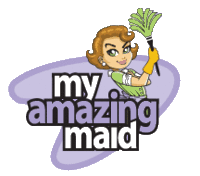 My Amazing Maid has cleaning plans that can fit most budgets. There are a number of factors that are taken into consideration when determining your cleaning price. The square footage of the home, the frequency that you wish to have the home cleaned, the type of cleaning that you desire, and the number of people and pets that live in the home, are some of the most common. HOW IS YOUR CLEANING PRICE DETERMINED? The most important factor that is used to determine the cleaning price is the number of square feet of the home. Please let us know if there are rooms that you would like to omit from the cleaning plan. Another important factor for determining the price of your cleaning is the number of bathrooms in the home. The time it takes to clean a home with 4 bathrooms is longer than one that only has 2 bathrooms. For homes above 3,500 square feet, we are happy to put together a custom package where we clean the main portion of the home on a biweekly basis but clean the rest of the home on a monthly basis. The next most important factor in determining maid service cost is the frequency that you wish to have your home cleaned. It takes about 50% longer to clean a home that is cleaned on a monthly basis compared to a home that is cleaned on a biweekly basis. There is usually a small saving for homes that are cleaned on a weekly basis. No matter how often we clean your home, the house cleaners touch every surface, every time we clean. If a bathroom is not used on a regular basis it won’t take as long to clean, but we still dust or wipe down every surface in that bathroom. We offer several different types of cleaning jobs for your home and we furnish the cleaning supplies for all jobs. We have two types of Move In/Move Out and One Time Cleaning packages: The Premier or Deep Clean and the Classic Clean. For regular cleanings such as weekly, biweekly or monthly plans, we offer our Premier, Classic and Economy Packages. All three are very thorough with the primary difference being additional items cleaned with each package. The price for each cleaning service is determined by the length of time it takes to do the cleaning. One time cleans are typically charged by the hour while recurring jobs such as biweekly or weekly cleanings are priced at a flat rate. Interior window cleaning is available and is priced at our normal hourly rates. Need help deciding which plan is best for you? We would love to discuss your cleaning needs. Please call us at 706-507-6243 or get an instant cleaning estimate by filling out our online estimates form.